Use commercial textbook printers in China, Asia and other overseas markets for your next textbook printing and you can realize significant savings of up to 30%. Textbook printing overseas can also save you valuable time! "Get A Quote from Offshore Textbook Printers"
Textbook Printers In China & Asia Only Use Environmentally Sound Soy Based, Lead Free Inks. Artful Dragon Press would like to be your International Print Broker. We can help you find textbook printers in China, Asia, India, Indonesia, Taiwan, Singapore, Hong Kong or parts of Europe that can offer you full-service textbook printing for much, much less, and in most cases, much sooner than even local book printers. Get full-color textbook printing services that include binding, lithography, digital pre-press and print capabilities. We carefully select only established textbook printers who use high quality paper stock, have a complete palette of Soy based ink colors, and are fully capable of four-color printing. 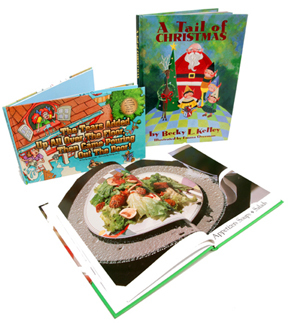 Artful Dragon is a US based international print broker working for our clients who require all types of Book Printing, including textbook printing. We do not represent overseas textbook printers. We offer our clients tremendous value because we have decades of experience and have developed excellent working relationships with a number of carefully chosen international textbook printers. This allows us to quote for the lowest textbook printing costs without sacrificing on print quality for our clients. Textbook printing is quite different from printing magazines, catalogs, journals or other types of books. In the United States there is only a handful of good textbook printers who have the proper presses required to print textbooks and because of this, textbook printing must be reserved months in advance. Many International Textbook Printers however work 24/7 in rotating shifts and can get the print job done sooner while providing a high level of quality print production at better than competitive pricing. Let Artful Dragon Press help you discover what many major Western book publishers have known for decades…that textbook printers, catalog printers and book printers in Asia and China can offer the same reliable book printing services and help you save big on textbook printing production costs. Artful Dragon can connect you with college textbook printers in China or Asia or overseas printers that specialize in large print textbooks. 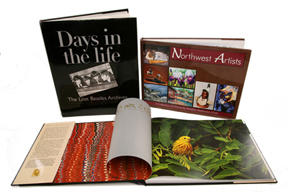 The Types of Book Printing that we can broker may also include magazines, catalogs, journals, coffee table books and much more. "Get a Quote from Textbook Printers Overseas"
For more information on textbook printers in China, Asia, India, Singapore, Hong Kong, Indonesia or Europe contact Artful Dragon Press Email our Textbook Printing Brokers. Get a Textbook Printing Quote from Artful Dragon for next textbook printing project. We can also quote you on book printing, calendar printing or catalog printing. For more information on how to get tremendous savings by using textbook printers in China, Asia and other overseas markets, please Email our Textbook Printing Brokers.